This tutorial shows how you can install and use AVG Antivirus on an Ubuntu Feisty Fawn desktop. Although there aren't many Linux viruses out there, this can be useful if you often exchange files with Windows users - it can help you to not pass on any Windows viruses (that don't do any harm to Linux systems) to Windows users. 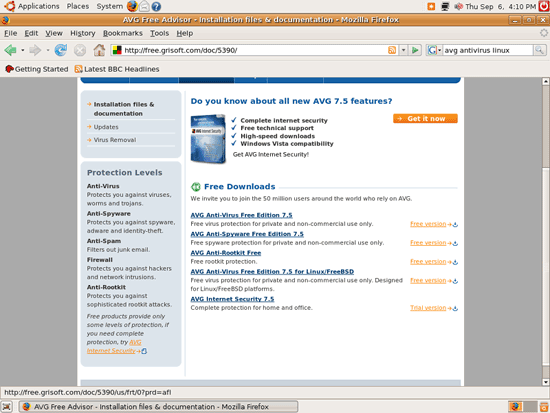 AVG Antivirus for Linux is free for private and non-commercial use. Now that you know which files are infected, you can take action and delete them (for example). This has to be done manually. server has very slow. 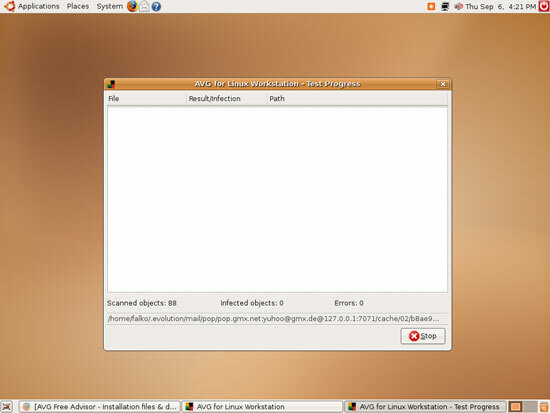 I have 2 ubuntu7.04 server and 60 client. Install one for test only. But ClamWin & Bitdefender for Linux not effect on this server. After I remove it, speed come back. 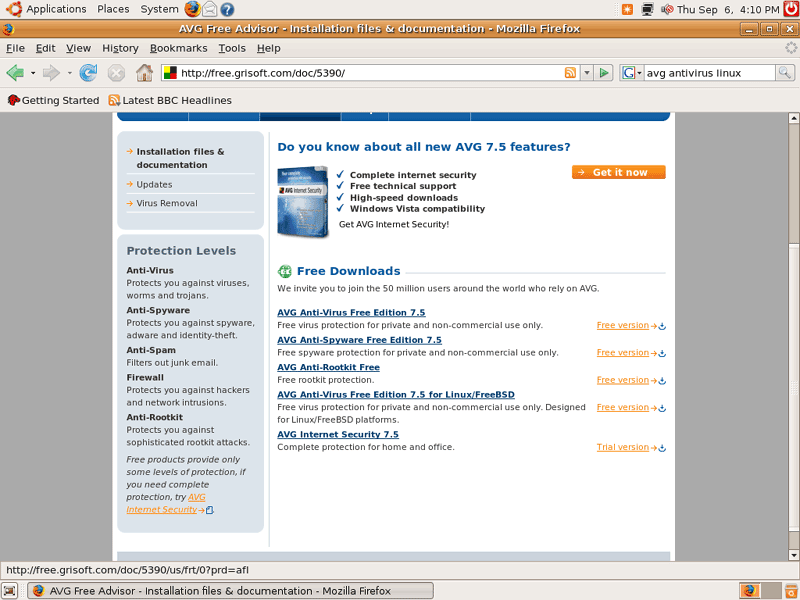 Anti virus is not needed on Ubuntu, any of its flavors, or any Linux distro. There are no known Linux viruses in the wild. What exists is proof of concept viruses that require you to do something stupid like run as root to work. 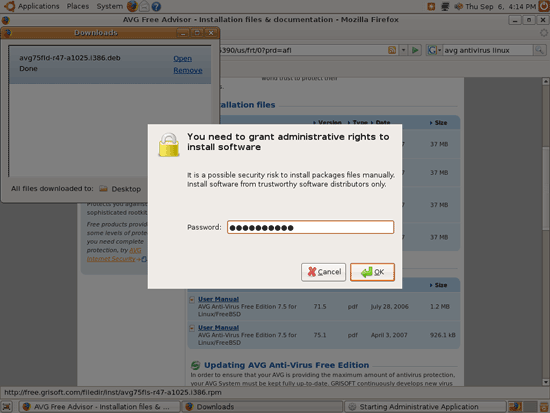 Anti virus eats up resources and gives a false sence of security. The only people running Linux that need a anti virus application are those that run mail servers that allow Windows boxes to connect to them. This is so that the Windows boxes cant send viruses to other Windows boxes. More of a favor to the Windows user as even mail servers are imune to the viruses. For the most part those that install anti virus are those that are leaving windows and think its just a normal thing to have. It isnt, viruses are the result of the poor design and security that is Windows. Be glad this is something you can leave behind. While I agree that the threat of viruses affecting a Linux Machine are quite low in comparison to to other OS brands, I think you are over simplifying your threat assessment. Only Mail servers that allow windows boxes to connect... how about file servers? There are many system administrators out there that are running file servers with Samba instead of rolling out the budget for MS Server products. The sad fact is that in multi user environments, you will still see the need to interact with windows boxes. While you, I, and pretty much everyone that is viewing this page encourage that OpenSource be viewed as the next logical step for the office workplace, it would be close minded of us to state that if you want to do away with viruses, don't use Windows. That is as extreme as the rabid proponents of MS and views on opensource. While I agree that Linux on itself does not need an antivirus, the existence of an antivirus is a blessing, especially when you use a machine in dual boot mode, or if you happen to share files to Windows systems or users. 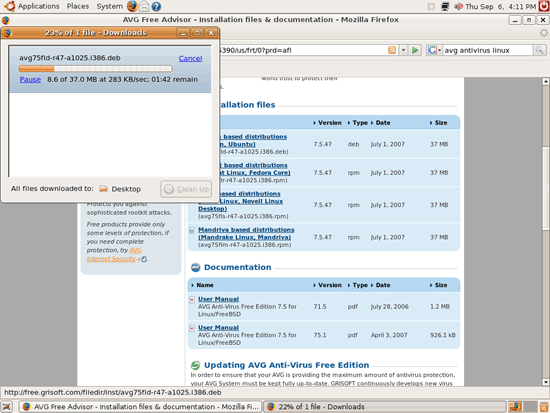 I myself use the antivirus on my Linux removable HD to scan and clean Windows partitions. It works! That is precicely why I installed a dual boot drive with Ubuntu and WinXP in lieu of getting a virus... So I could scan my WinXP partition and the other physical drive from a seperate linux partition without fear of being reinfected in the process. The problem is my AVG Free in Ubuntu only recognizes the root directory it is installed in and doesn't see the other WinXP partition or the other physical drive which has all the old backed up files from my previous windows installation. Can anyone help me with this please? the same to me.. 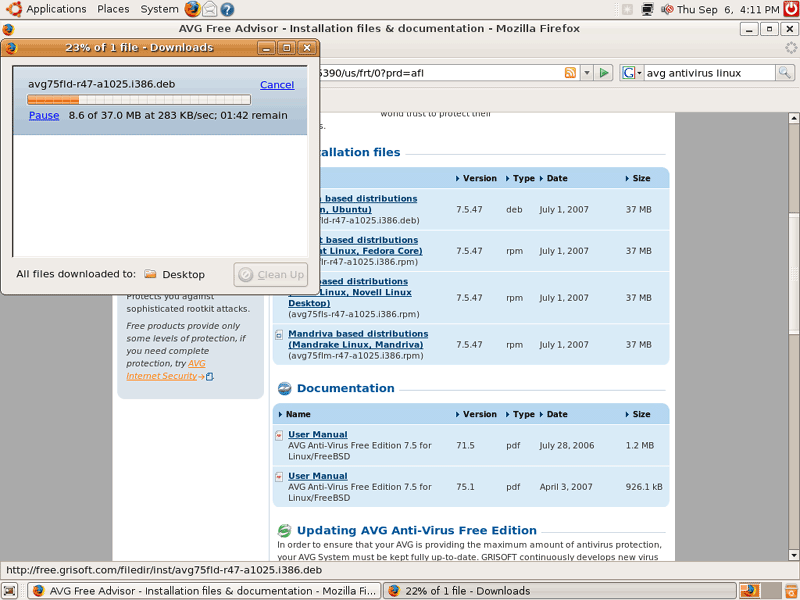 I dont see.. AVG in Zubehör.. but my Lucid is in German..
BTW.. about Antivirus.. any know this?